PayU is one of the world's largest payment providers. It accepts online payments safely and gives your business the right tools. PayU has established a reliable payment system and are proud to share it with you. 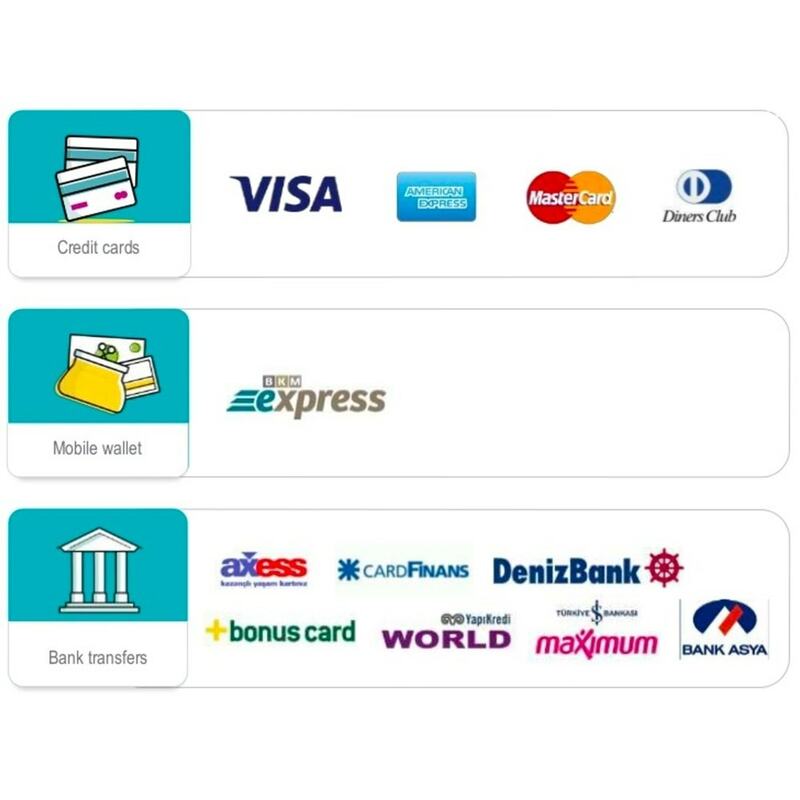 PayU is used and trusted by too many popular e-commerce stores in Turkey. 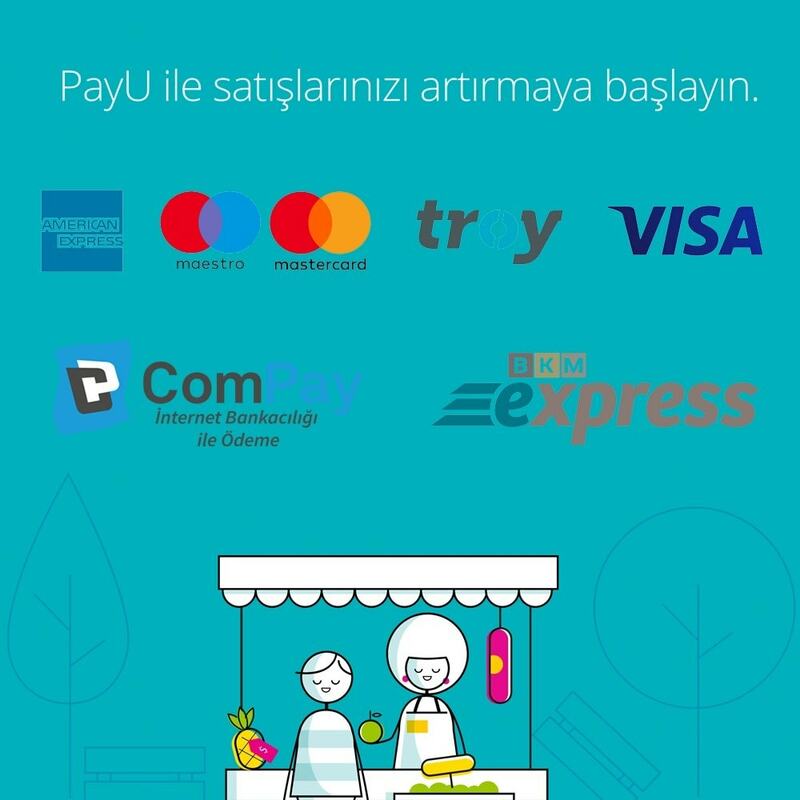 100.000+ merchants worldwide use and trust PayU. Merchants have more than 250 payment options available worldwide. PayU has always focused on and continue to focus on matching merchant’s needs with the way consumers shop and pay. Whether someone wants to make a payment online on a computer, tablet, mobile device. 250+ payment methods are designed to make it fast, simple and secure. Enhanced security. The functionality of 3D secure payment and fraud protection. Get tax advantage. Your commission fees are billed at the end of the month so you can benefit tax advantage. One-source solution. The convenience of one invoice, one set of reports and one 24/7 customer service contact.